The reality of our financial status now that I’m not working is finally setting in, and it ain’t pretty. We are 10 days into the month and have about $42 left in our bank account. Ok it’s not that bad, but it’s not much better. We splurged on a grocery trip the other day and spent $130 for about 2 days worth of food. 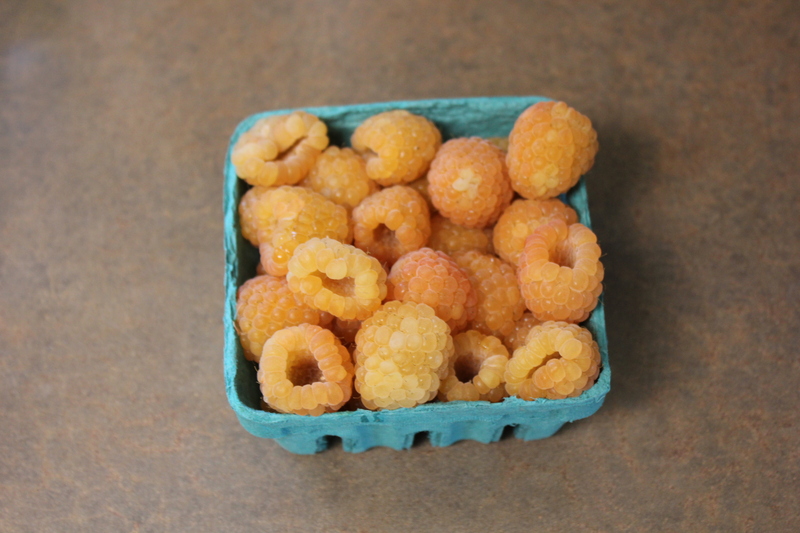 One of the extravagant purchases was white raspberries. Look at them. Such rare beauty. Only available for a short window of time. And priced accordingly. As I was near tears paying our bills later that day, my husband rightly pointed out that this type of purchase no longer fits with our lifestyle. Who do I think I am buying these rich person berries? So I am savoring every one I eat, knowing it will be the last. My daughter has grown fond of them and now requests them instead of the red ones. Another area of excess? Paper towels. I use far too many. So I am trying to cut down by re-using them, or using washcloths. The other day I saw a spill and used my sock to clean it up in an effort to conserve. And because I was too lazy to get up. So paper towels are also now for rich people in my mind. Paper towels and raspberries. Luxuries. Status symbols. Things that make me realize I probably need to nut up and get rid of the cable TV so my family can eat and spill food without worrying it may bankrupt us. I am about to begin my maternity leave as I read this. I am snorting and chuckling on the outside, but on the inside I am a wee bit freaked out. Coming up right behind you, sister. And missing my fancy teas already.